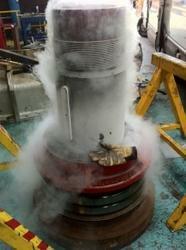 We are involved in offering Cryogenic Shrink Fitting. Thread Size: Approx 3 m.
We are the manufacturer of shrink fitting. Shrink fitting is the method of employing an cryogenic agent to shrink the shafts, tappets, or sockets, etc. So that fitting can be achieved that are far more cost. We are involved in offering fitting services like Shrink Fitting Services for various types of bush fittings depending upon the site and location of the unit to be operated. 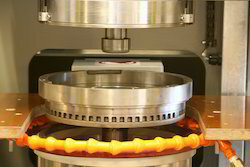 Shrink Fitting Services is the technique in which the pieces of structure are heated or cooled by using thermal expansion technique to make a joint. We provide quality services and thus, attain maximum client satisfaction. We are involved in offering fitting services like Cryogenic Shrink Fitting for various types of bush fittings depending upon the site and location of the unit to be operated. Shrink Fitting Services is the technique in which the pieces of structure are heated or cooled by using thermal expansion technique to make a joint. We provide quality services and thus, attain maximum client satisfaction. We are amongst the most reputed names in the industry, offering Cryogenic Shrink Fitting. We are engaged in offering Cryogenic Shrink Fitting.